Words can not express how excited I feel right now! Lacey Watts is wearing one of the first skirts I ever made. I recently featured Lacey Watts on here highlighting her personal style and gave you ample reasons on why you should be following her. 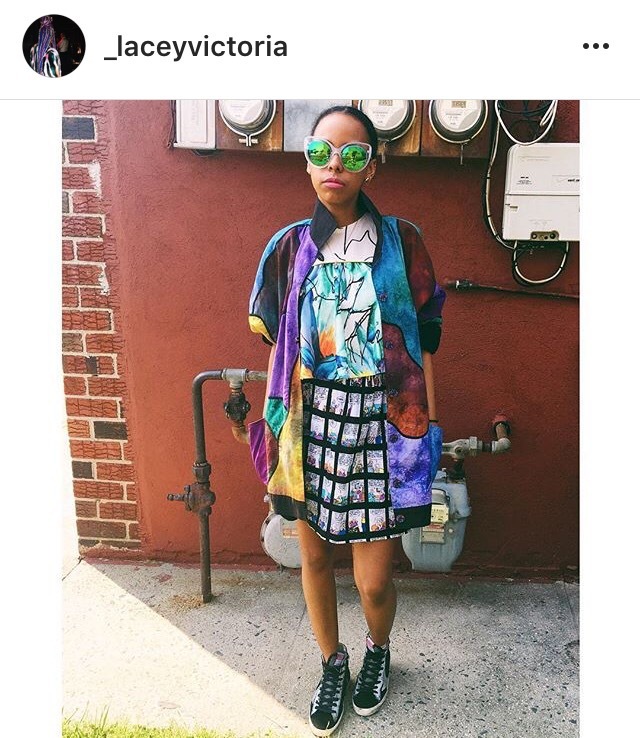 Another reason to add to that list, she’s wearing a skirt I designed! This skirt is a representation of my personal style: it’s quirky, bright, and conversational. And I’m so happy to see someone wearing something I’ve created. Tags: Fashion, Features, Lacey Watts in Kamea Tisdale, sewing, Style Stalker. Bookmark the permalink.